Is food self-sufficiency making a comeback? 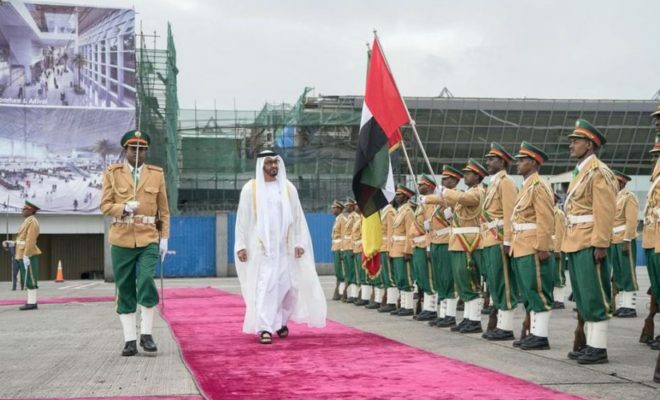 Qatar and Burundi have been forced to innovate due to political crises. But the rest of the world could learn a lot from their experiments. Innovative approaches to crop-livestock integration are leading the way to improved food self-sufficiency in Burundi. Credit: William Moseley. A few decades ago, the notion that countries should produce as much of their own food as possible was a self-evidently good idea. Nations worldwide tried to become self-sufficient in producing the food supplies their populations needed. Part of this motivation was to avoid being dependent on – and therefore vulnerable to – neighbouring countries. Beginning in the early-1980s, however, things began to change. Neoliberal reformers argued that it was counterproductive to produce food at home if it was more efficient and cheaper to import it from abroad. In some cases, this assessment was convincing. It made little sense for Saudi Arabia, for example, to produce its own wheat given the nation’s water scarcity and the moisture requirements of the crop. In other countries, including many in Africa, the argument was much less persuasive. But in these places, the World Bank ended up essentially coercing governments, via structural adjustment policies, into ending support for their farmers. Food self-sufficiency ceased to be a common ambition. But now, three decades later, the policy may be making a comeback. Spurred on by political crises, Qatar and Burundi have been experimenting with domestic food production in ways that the rest of the world might have plenty to learn from. Last year, Qatar, the world’s richest country per capita, nearly became a textbook example of the security risks associated with not being food self-sufficient. Beginning in June 2017, Saudi Arabia and three other Arab states imposed a blockade on the small Gulf nation. Amongst other things, this meant a sudden loss of dairy imports such as milk, cheese, yogurt and the fermented drink labaan. After a period of turning to Iran and Turkey for these products, the Qatari agricultural company Baladna stepped into the void. Barely a year later, its farm will soon have 14,000 cows and Qatar will be self-sufficient in dairy production. And even more amazingly, a litre of Baladna milk now costs slightly less than Saudi imports did before the boycott. How did this desert country, with an extremely inhospitable climate for dairy cows, become self-sufficient in dairy production? Clearly, money helps, and it is not known how much the Qatari government may be subsidising this operation. But technology – largely in the form of fans and misters – and increasing experience around the world of raising cows in warmer climates have also made such the exercise more viable than it might have been 40 years ago. The real question is whether it is environmentally sustainable. Large-scale wheat production is clearly unfeasible in water-starved areas, but dairy operations could be more workable if they can figure out how to effectively recycle water and animal waste. Burundi is at the other end of the spectrum to Qatar in many ways. It is small, landlocked and currently ranked as the world’s third poorest country. But it too has faced a troubling political situation. Since 2015, it has become a pariah state after its president, Pierre Nkurunziza, removed term limits in order to stay in power. Since then, the country has experienced popular protests, an attempted coup, and a brutal crackdown on opposition groups and the media. Hundreds of thousands of people, and nearly all aid groups, have fled the country. Burundi’s economy is in shambles and, according to the UN World Food Programme, nearly 60% of the country’s population is malnourished. Furthermore, due to limited amounts of foreign exchange and a political rivalry with Rwanda, Burundi is often unable to trade with neighbouring countries for essential goods. This is a huge problem for one of Africa’s most densely populated countries with some 11 million people living in a small mountainous nation. It was this challenging situation, however, that led an innovative crop-livestock integration project to figure out how to boost agricultural production without the use of imported inputs such as expensive chemical fertilisers. Jointly run by the International Livestock Research Institute (ILRI) and International Institute for Tropical Agriculture (IITA), the central idea is to use the manure from penned livestock to fertilise crops and to use the inedible byproducts of these crops to feed the livestock. While this is not a new concept, the programme is perfecting it for a range of income groups. For wealthier households, it has developed combinations involving cattle with maize. For poorer ones, it has worked on combinations of pigs with cassava, sweet potatoes and soybeans; chickens with beans; and rabbits with vegetables. These kinds of approaches are critical for addressing hunger in a poor and isolated country where land is scarce and soil fertility is declining. After the 2007-8 global food crisis, we began to see a slight return to policies aimed at food self-sufficiency. Governments were under pressure to respond to challenges that high food prices created for poor and middle income households. Now, we are seeing further experimentation in Qatar and Burundi, reminiscent of the food production innovation seen during the Cuban embargo in the 1990s. As in that episode, we should seek to learn from their experimentation rather than dismiss them as unusual solutions prompted by difficult situations. After all, these innovations could help a broader range of countries avoid the risks of over-dependence on imported food. While part of the response to the 2007-2008 global food crisis was a Green Revolution approach that emphasised external inputs such as hybrid seeds and chemical fertilisers, what we see in Burundi in particular are developments based on sustainability and the science of agroecology. While born of necessity, this latter approach is not as dependent on external inputs and thus more accessible to a wide range of farmers, potentially across Africa and beyond. Burundi: what can actually be done?